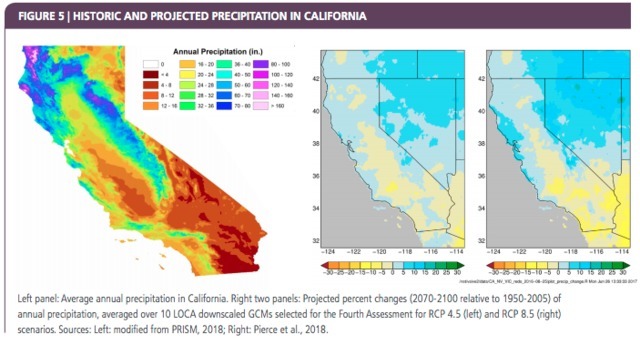 SACRAMENTO, Calif. (KGTV) -- In a document detailing devastation that could swarm California by 2100, the State of California Monday released its fourth climate change assessment. Some of the details divulged in the report include two-thirds of Southern California beaches the state says could completely disappear. And if that’s not enough, wildfires could nearly double in size by 2100, according to the California Natural Resources Agency. In a quote on the report, Governor Jerry Brown took a swipe at President Trump saying, “In California, facts and science still matter,” seemingly referring to the Trump administration’s stance on environmental issues. Brown went on to label the finding an “apocalyptic threat” in a dramatic response to the assessment. The report isn’t all doom and gloom, however, and offers a glimmer of hope as to how the state hopes to respond to the threat. 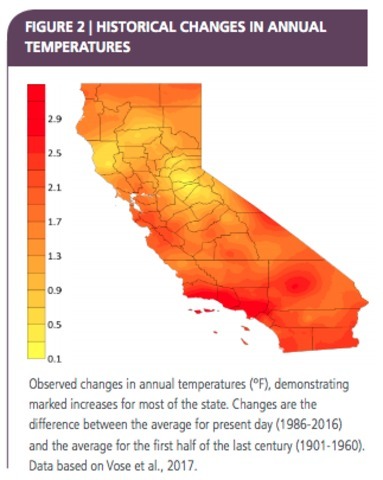 Since the release of the third climate change assessment in 2012, the Golden State has experienced several history-making natural events, which include a five-year drought, flooding and increasingly-destructive wildfires. The report suggests that the extreme events will only continue to worsen in the future. Climate change will make the forests more susceptible to extreme wildfires. According to the report, if greenhouse gas emissions continue to rise, the average area burned by wildfires could increase by as much as 77 percent. The report added that the frequency of fires burning more than 25,000 acres could increase by nearly 50 percent. 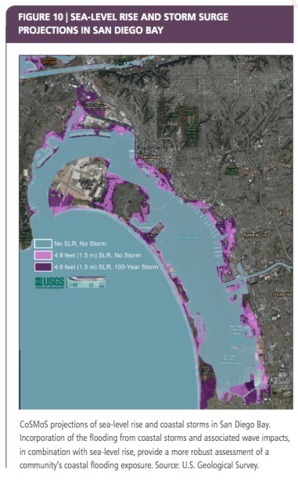 Under mid to high sea-level rise scenarios, up to 67 percent of Southern California beaches could be eroded by 2100. Of course, that’s without human intervention. The updated modeling of such possible events hopes to analyze vulnerabilities in certain areas, helping local agencies take action against erosion. As seen in San Diego County this year, higher temperatures will increase the demand for electricity in homes for things like air conditioning. Though the higher demand is expected to sweep through inland areas, the coast isn’t immune from these events, though the report predicts that areas closer to the ocean will see a more moderate increase in energy need. As a result of increasing heat, deaths and illness related to high temperatures are expected to increase. By mid-century, the Central Valley could experience heat waves that average two weeks longer than those currently. The hot spells could also happen four to 10 times more often. A new tool that assesses the heat is set to support public health departments as they try to reduce heat-related illness. Of course, all of the above scenarios assume the worst and nothing is guaranteed. The state says the report will highlight how California can better prepare infrastructure for the future.